Karl Wallenda is to the circus what Steve Jobs is to tech. He was the one who dared to do what most others would never even think to dream up. In Wallenda’s case, that was putting together the most dangerous, death-defying multi-person acts in circus history, including his claim to fame: The seven-person chair pyramid, performed while teetering over 50 feet in the air on a high wire. 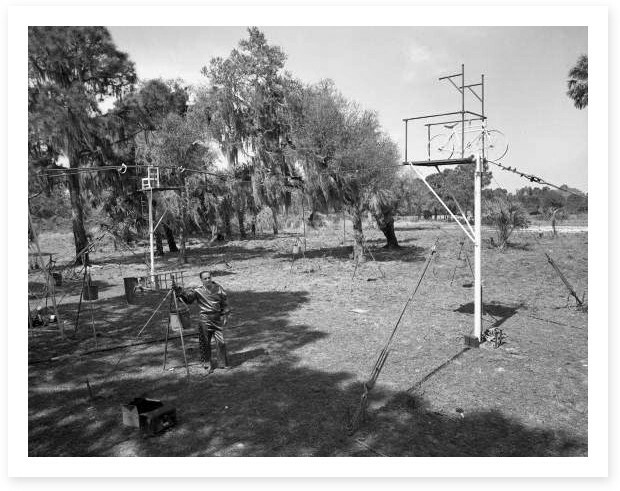 Here he is in 1967 at the Wallenda family home in Sarasota, Florida; around 20 years into his career as a high wire walker and daredevil stunt performer. Now here’s Rick Wallenda, Karl’s grandson, third generation high wire walker, pictured 40 years later about to perform a similar stunt. Between them is a family history rife with triumph, tragedy and tradition. Yet despite suffering a great amount of grief in service of their craft, Rick never believed there was anything that could keep the legendary Flying Wallendas grounded. At the Wallenda family home, Rick perches on his mother’s front porch to reminisce over his family’s history. 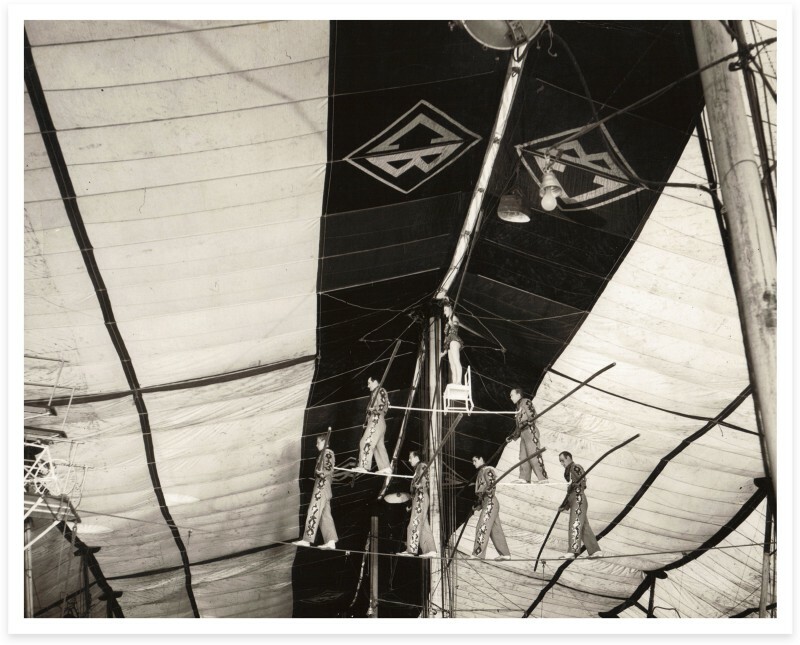 Though both Karl and his wife Helen Wallenda had been performing for years in their native Germany, the Wallendas’ fame kickstarted in the 1940s, when the couple moved to the U.S. as part of the Ringling Brothers and Barnum and Bailey Circus troupe. Their duet was a good gig by all standards, but Wallenda’s ambition had him craving more high stakes high wire acts. This lead him to invent the seven-person chair pyramid. 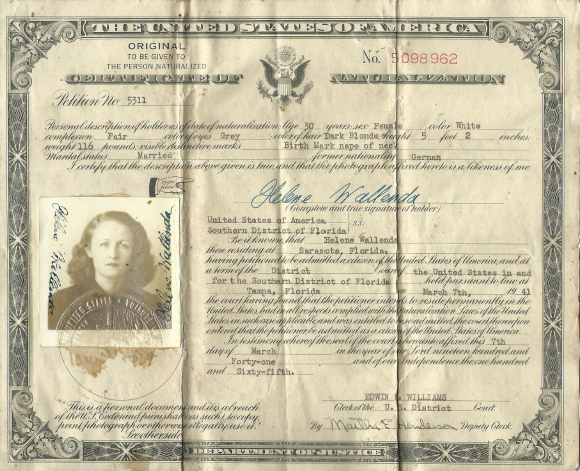 A copy of Helen Wallenda’s naturalization document when she entered the United States in 1941. So intent on making this the Wallenda family signature, Karl Wallenda had a high wire rig built on the family property so they could all practice at home. 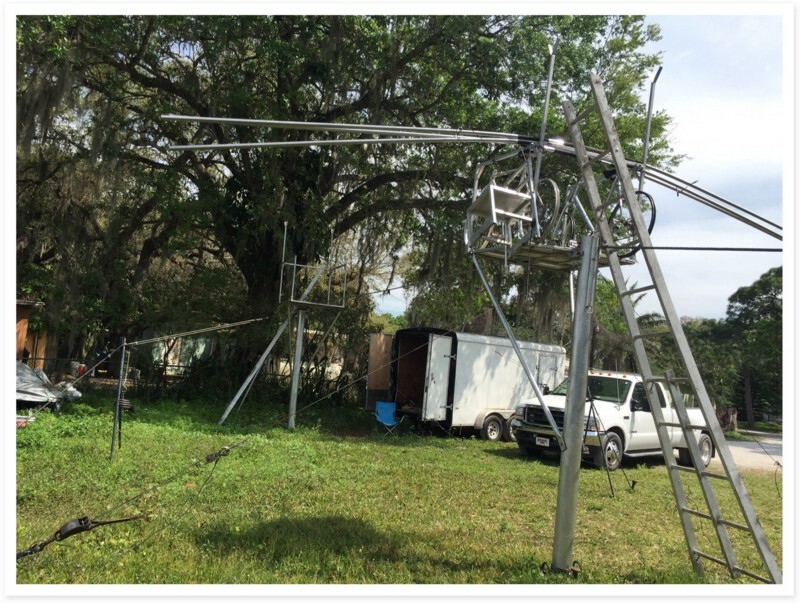 After many updates and improvements over the years, the rig still stands—a sacred structure on the family property now used by Rick and his family. The Flying Wallendas rose to fame for performing their acts without a safety net. 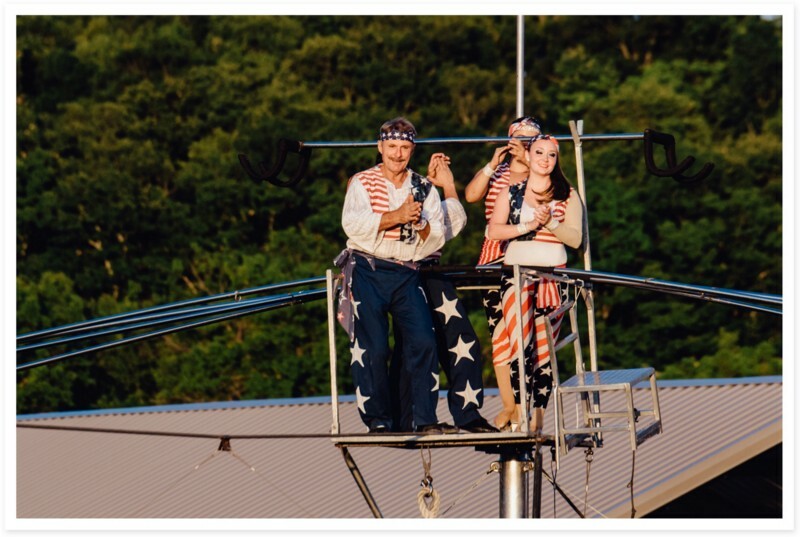 “We prefer no net because practice is your best safety device,” explains Rick Wallenda. “The best thing to rely on is practice. You rely on a device, that could fail. My grandfather’s brother fell into a net in 1936. He bounced out and he was killed on the concrete below. Though this philosophy has worked for the Wallendas for generations, it hasn’t always been a failsafe. 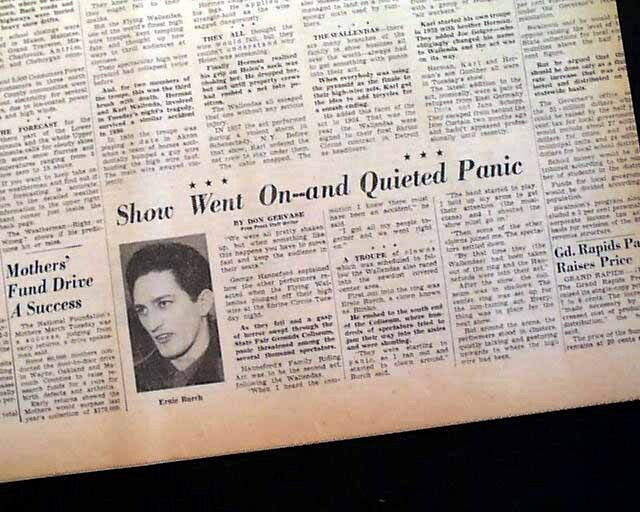 Rick and the family learned that lesson the hard way back in 1962. “It was a tragedy for the entire family. Not just our family. The entire circus business shattered under that. 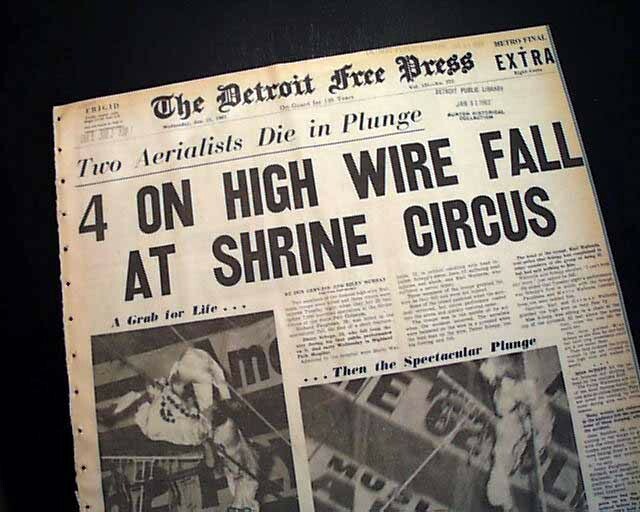 It was the second largest tragedy in circus history. Our family responded by doing the show the next night. They did the show. That’s the way we’ve always responded to things like this. When something like that happens, an accident, and you lose somebody, it impacts everything about you. There’s not a single function that I’m involved in that these accidents have not impacted to a greater lesser degree. You learn to do things better. 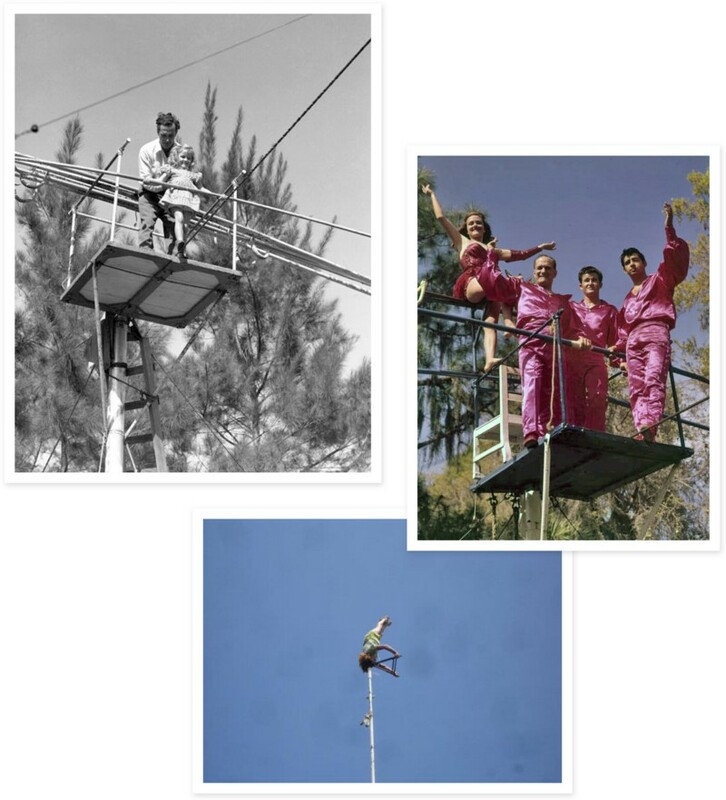 My grandfather, when he died [on the high wire] in 1973, he was doing the stunt for free. From a business standpoint, I don’t do things for free anymore. I get paid to do it. If I’m going to risk my life out there, I’m going to be paid to do it. Nowadays, the Flying Wallendas’ star keeps on rising. Several members of the family, including Rick, have branched out to form new acts with their own families. Karla Wallenda — Rick’s mother and Karl and Helen Wallenda’s daughter — still manages to pull off a wild trick or two, even making headlines for performing aerialist stunts at eighty years old. After all these years, Rick feels the same way. 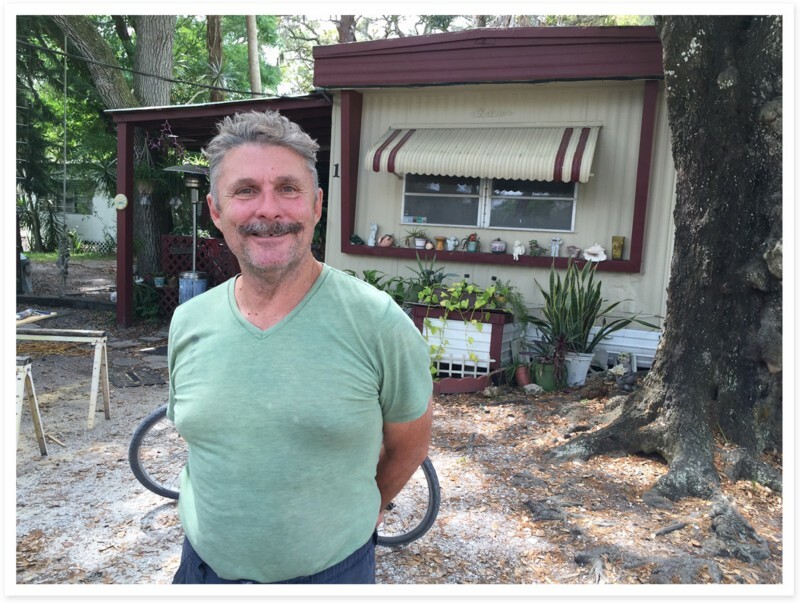 Rick Wallenda at the family home in Florida. Lima Al-Azzeh once fractured her finger picking up a stationary basketball.